Thinking of becoming an Edmonton For Sale by Owner Seller? Many people don't realize how complicated and time consuming selling a home really is. With numerous factors to consider such as open houses, advertising, pricing, negotiating and handling all kinds of inquiries, the For Sale By Owner process can be exhausting and -- even worse -- unfruitful. Many homeowners report familiar griefs after an open house: "I got lots of people, but most were just looking" and "they wanted it for a song". Professionals sell homes faster, and for more money. 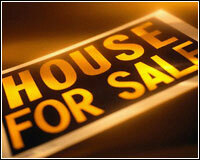 It's unlikely a For Sale By Owner will have complete understanding about real estate pricing. Often a seller is forced to reduce the price and accept less money for a home than if he or she started at the right price in the first place. When Kevin works with you he ensures you'll receive the most current market stats along with a thorough market analysis report to GUARANTEE your home is perfectly priced for the market. Bottom line: Kevin will sell your home FAST and for TOP DOLLAR. Marketing and exposure. A property depreciates the longer it's on the market. Many For Sale by Owners limit the market to their immediate contacts, neighborhood and local advertising. Kevin can ensure your home is being exposed to the largest pool of QUALIFIED buyers and advertised 24 hours a day until it is sold. Investors & Bargain Hunters: These people are looking to capitalize on a For Sale By Owner's market ignorance and lack of negotiating experience to score their next deal. Any time a buyer doesn’t buy from a store or through a sales person they expect to pay substantially less. In a sense they would expect to save the sales commissions or profits that would normally go to a sales person or store owner. Why should someone do all the work a salesperson would do and still pay the same price? For example if the seller is trying to save six percent and the buyer is trying to save six percent, they are 12 percent apart! Unqualified Buyers: These people will often approach For Sale By Owners because they have had previous financial difficulties and want the owner to finance them. For the right person this could be a profitable investment, but most sellers need to pull as much equity out of the property as possible to be able to move on with their next home. Kevin and team ensure only prospects who can qualify are introduced to your home. This eliminates the hassle of “lookers” and non-serious buyers, reducing the chance strangers who may have activities in mind other than buying a house will come. Kevin also has some of the best mortgage brokers in the industry working with his team who can pull the necessary strings to help finance a purchase. Your home will be on the market 24/7. Did you realize any time a For Sale By Owner is away from home, the home is off of the market? Kevin and team guarantees someone will always be available to handle and follow up with inquiries during both peak and off-peak hours. Beign a For Sale By Owner is expensive and stressful. A seller selling privately can expect to put a minimum of 80 hours work into the project, without a guaranteed result. There are also out-of–pocket expenditures like advertising and lawn signs that must be paid and managed. Selling a home CAN be extremely stressful! Kevin and team will take care of the details, from the first step of marketing your home for sale to the final closing negotiation so you can continue on uninterrupted with your life. Did you know that when you choose to list your home with Kevin, you're getting the most professional, most reliable real estate team in Edmonton? Kevin will provide state-of-the-art professional service to all home sellers, just like yourself: in fact, choosing Kevin will likely save you money. That's because your home will be priced correctly, you receive 24-hour advertising until it's sold, and you'll be placing your home before the most qualified potential buyers. Why settle for anything less than the best? If you have considered selling your home For Sale By Owner, Kevin would love to sit down with you and discuss your decision, WITH NO OBLIGATION! Let Kevin show you how you can save time and money: contact Kevin Grenier, an Edmonton Realty Executives Professional today for more information and to get a free home evaluation. Call 780-893-0269.